Ideal for a range of applications from small offices to field offices of large enterprises, S2 NetVR video management system supports up to 16 IP cameras and up to 4TB of video storage. Real-time video monitoring and recorded video playback are accessible from a client or mobile app. S2 NetVR 100 series video management systems support up to 64 IP cameras and up to 16TB of video storage, making them well suited for mid-sized deployments. For organizations with RAID storage requirements, RAID 5 configuration is an option. S2 NetVR 400 series video management systems support up to 64 IP cameras and up to 48TB RAID 5 or 6 video storage. S2 NetVR 400 series systems are ideal for mid-sized businesses and distributed enterprises with RAID storage requirements. S2 NetVR 500 hybrid video management system offers support for 16 or 32 analog cameras and up to 32 IP cameras. 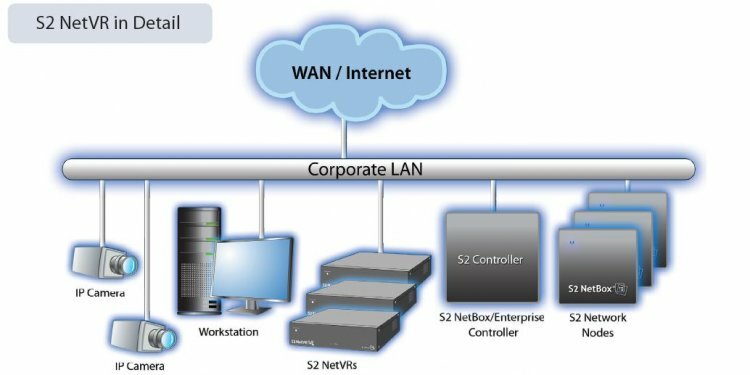 For organizations that want to leverage legacy analog infrastructure and newer IP technology, S2 NetVR 500 is an ideal solution. S2 NetVR 700 series high-performance enterprise video management systems support up to 128 IP cameras and up to 96TB of RAID 5 or 6 video storage. Additional enterprise features including a powerful processor and redundant dual power supply make S2 NetVR 700 series servers well suited for large security deployments with demanding security requirements.